Firstly, I’d just like to say thank you to Writer/Director, Drew Macdonald for allowing me early access to an online screener of Wanderer Films, 12 minute Horror/Thriller short “Creeper”. Creeper is an Australian made short film about a young woman (played by the beautiful Melanie Zanetti) who is unknowingly followed home by her “Uber” driver (Harry Piaggio) after a night on the town. The cat and mouse game that ensues explores the lengths people will go to for some form of human contact. Creeper has been garnering a lot of attention on the festival circuit in 2017, and being a home-grown production, I thought I best try to seek out those behind it. 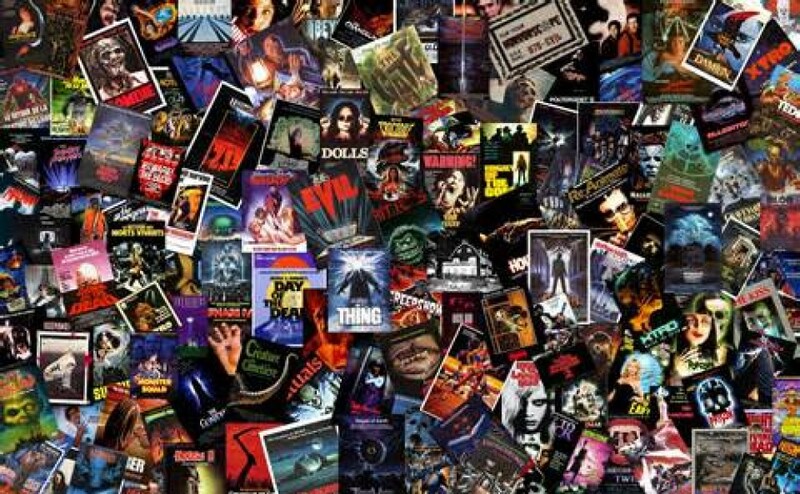 It turns out that between the cast and crew, less than a dozen people were involved in the film. I found the tone of Macdonald’s film reminiscent of one of Travis Zariwny’s more recent films, “Intruder”. Truth be told, Joe Tiernan’s production design and Jesse Lane’s cinematography on Creeper also give it a hint of the Giallo (70’s Italian Horror) feel. Drew’s script (which happens to be devoid of almost all dialogue barring the opening minute) sets an unnerving chain of events in motion, and the scariest part is that this premise isn’t too much of a stretch. In the world of modern technology and an ever evolving city lifestyle, the disconnect among us is present and that’s a little bit of what Macdonald touches on in Creeper. All the technical facets are unbelievably well constructed. The audio and foley are crisp and the lighting extremely moody, particularly the shots in Demi’s lounge room. The opening aerial shot establishes the city lights and helps to set the city scene, it’s a great addition for an independent film. Lane exerts gentle zooming and a couple of really effective looking focus pulls throughout the short. The approach to the camera placement and shot choices is almost always intentionally voyeuristic, giving off that slow and meticulous stalking vibe. Zanetti doesn’t feature a whole lot, but she looks stunning and is more than up to the task of playing the innocent victim. Shortly into Creeper it becomes evident it’s Piaggio’s show. I mean no disrespect at all, but this guy (and in turn character) is as creepy as they come, think Rutger Hauer in Blade Runner. The intensity of the performance is conveyed mostly through his piercing eyes and that constantly restrained smirk. There’s a bit of a montage of shots showcasing his creepy actions, it plays to music as well which makes him all the more worrying. Although there’s no real on-screen violence there’s a scene involving a razor and it’s sure to make you cringe, it’s a great scene and a superb performance! 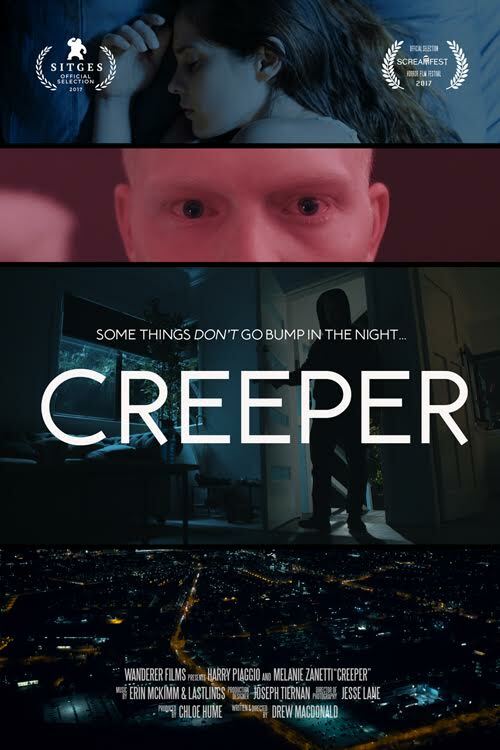 I haven’t reviewed a lot of Australian short films but Creeper is certainly the best one I’ve seen thus far, I couldn’t pick a flaw and that’s extremely rare. With all the instances and allegations of violence and harassment against women floating around in the media right now, Drew’s film couldn’t be a more relevant cautionary tale. The cinematography is fantastic, the audio clear and the lighting atmospheric. Zanetti’s character is immediately sympathetic and Piaggio’s is anything but. This mystery driver is stone faced and as cold as ice, and for 12 minutes you’re never quite sure what he’s really after. It’s a dialogue free performance and I’m calling it the best of the year, so to Creeper itself. Do yourself a favor, as soon as this one hits the world-wide web check it out! You can watch the trailer below.